Quality control and assessment is a vital part of the soy production cycle. Environmental factors, processing treatments, and varietal differences in soybeans are all factors the lead to large variations in product quality and profitability. 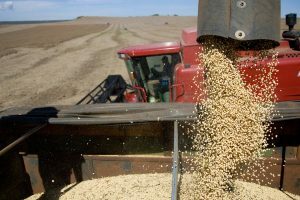 Maintaining and optimizing both quality and profitability is just one of the many challenges facing today’s soybean industry. Current chemical analysis is highly skilled, labor intensive and costly. Processes rely on specialist analyzers and expensive equipment, and the analysis process itself has many areas that impact on quality, accuracy, and cost – time lag from initial sampling to result is often significant, expertise of the sampler is vital, and dedicated laboratory facilities and skilled laboratory staff are required. So here’s something that really excites us at Consumer Physics! We believe we can help improve and expand the quality control opportunities available in this diverse and dynamic market with our revolutionary micro-spectrometer. Using SCiO, it is entirely possible to streamline and improve profitability of your analytical quality control processes, and also increase sampling points, reduce time lag and response time. SCiO’s revolutionary NIR spectrometer gives you the potential to radically change the way the soybean industry validates and assesses the quality of soybean products. SCiO brings instant quality analysis to every stage of production, from acceptance of raw soybeans, to analysis after crushing, cooking, extrusion, roasting, flaking, micronizing and enzymatic treatment. 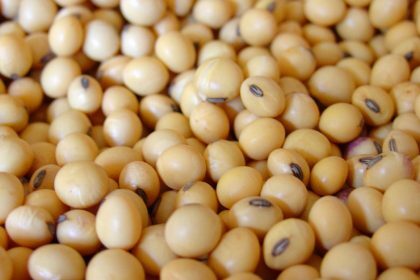 Full fat soybeans, protein concentrate, hulls, meal, oil, flour etc can be analyzed for major macro-nutrient parameters; crude protein, oils, dry matter, moisture, ash, energy and more. The beauty of SCiO is that unlike standard benchtop spectrometers or traditional wet chemistry analysis, SCiO does not require scientific expertise to operate. Analyses require no sample prep or manipulation with chemicals, solvents, or reagents, and results are returned in a matter of seconds – no time lag between sampling, analysis and result. Analysis is performed directly at the critical point by any member of staff, expert and non-expert, with minimal training. This simplicity of use, affordability and portability allows for an exponential increase in sampling points, greater efficiency, and overall better process control. Plants can benefit from fast response to process drift and freeing of lab resources from routine tasks to value-add projects. SCiO enables real-time material validation all the way from incoming raw materials, in process testing down the production line, and onto storage and after sales. Analysis isn’t restricted to inline and online processes either. 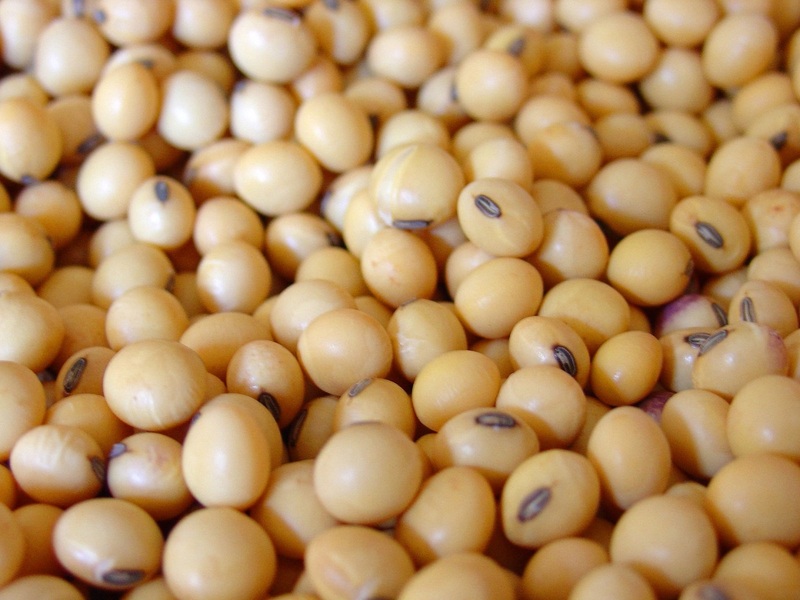 Real-time analysis can be performed during the entire growing, harvesting, and processing cycle of the soybean crop. Farmers, processors, exporters and buyers can assess the nutritional values of soybeans in the field, in elevators and storage areas, and make real-time, actionable decisions with regards quality and price. 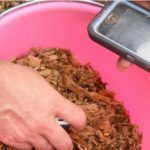 As SCiO is a connected device, data is collected and reported in real time. Actionable data can be integrated into enterprise data systems for long-term analysis of quality metrics, as well as immediate identification and monitoring of production issues. Data from field sampling can be used to dynamically optimize harvest timing. Incoming soybeans at the factory can be analyzed to give the plant advance knowledge of the quality characteristics as soon as they arrive. Short and long-term trends can be tracked, analyzed and actioned. Insights can be provided to track quality and nutritional makeup over customized periods of time. Quality metrics can be used to maximize operational flow allowing long and short term views of the incoming/outgoing product relationship, complete with statistical summary information, allowing organizations to track raw material and finished product quality and consistency throughout manufacturing operations.